A musical version of the life of P.T. Barnum with songs by the guys who brought us "La La Land." But that is where the comparison ends. This is no "La La Land." Over the holidays I decided that I wanted to watch "White Christmas" starring Bing Crosby and Rosemary Clooney. I had seen it many times over the years, but had not seen it lately and was just delighted to be reminded how much I loved those old musicals from the Golden Age of Hollywood. It just left me feeling happy and all warm and fuzzy. It made me wish that more musicals were being produced today so you can imagine that I was really looking forward to this film especially when I discovered the songs were written by the same guys who brought us the songs from "La La Land. I absolutely adored "La La Land." But sadly I found this film very disappointing. According to this film, P.T. Barnum (Hugh Jackman) wasn't just the guy whose name became synonymous with the circus. He also supposedly invented the term "show business," and he was a really nice guy with a rags to riches story who just wanted to entertain and make people happy. Pretty sure he was more of a con man who exploited people to make a buck, but OK. I can suspend disbelief. This is a musical, after all. I usually don't have too much trouble suspending my disbelief especially when it comes to musicals which always requires that. I mean, how often do we break into song when telling our loved ones what we plan to do with our lives? 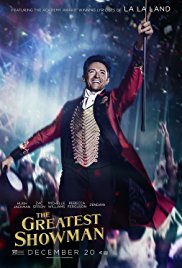 According to this film, Barnum started out poor but had a childhood sweetheart who believed in him, and you know about the power of love especially when it's set to music, right? He lost his boring job as an accountant and was on his last dime when he got the idea to open a "freak show," though this film is too politically correct to call it that because this film wants to sugar coat the shadier sides of Barnum and to be about celebrating differences, which is kind of ironic when you consider Barnum had a bearded lady, the fattest man on earth, conjoined twins, etc. and exploited them and treated them like freaks by putting them on show to make money. Despite the fact that the film tries to not go there, you can't deny that is what he did and that gave me an uncomfortable feeling while watching this film. is actually my way of saying that Hugh was trying too hard. I know Hugh Jackman is a Broadway musical kind of guy (except for when he is Wolverine) but geez. What works on Broadway doesn't necessarily work on film. If you have seen him on talk shows recently promoting this film, he seems like a very nice, genuine guy, but he is just always ON and this film is no exception. He wore me out. I could forgive this film because of the handsomeness that is Zac Ephron. I never get tired of looking at him but then it hits me...he's not a very good actor. He is fine in comedies like "Mike and Dave Need Wedding Dates" and the "Neighbors" franchise, but when it comes to dramatic acting, which he is required to do here, his lack of skills comes out. Michelle Williams, who was wonderful in "All the Money in the World (see last week's review)" has absolutely nothing to do here except sing a little and act supportive and comforting to P.T./Hugh when he's feeling down. She's the kind of wife that even when he ditches her and runs off with Jenny Lind (Rebecca Ferguson), she forgives him. And speaking of Jenny Lind. I am assuming that the writers and director didn't think we would know who Jenny Lind was considering they had her singing what could only be called a 21st century pop song when in fact she was a 19th century OPERA star! I know this is a 21st century musical but can we at least have an opera singer sing an operatic song? And the songs by the "La La Land" guys, John Debney and Benj Pasek - Sorry, guys, not memorable this time, though I enjoyed the opening sequence with the young Barnum (Ellis Rubin) and the young Charity (Skylar Dunn) singing "A Million Dreams." Directed by Michael Gracey with a screenplay by Jenny Bicks and Bill Condon, this film is doing well at the box office which tells me people are thirsting for wholesome entertaining musicals that the whole family can enjoy. This is certainly wholesome family entertainment (if you don't think too hard about the real life of P.T. Barnum), but somehow it left out the entertaining part. Rosy the Reviewer says...I really wanted to love this but I didn't. I didn't even like it. 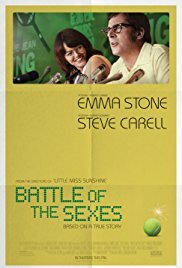 A dramatized version of the 1973 tennis match between the then top-rated female tennis player, Billie Jean King, and ex-champ and much older hustler, Bobby Riggs. If I'm already not a fan of Steve Carell, will his playing a famous chauvinist pig help? No. Though I was around when this so-called "Battle of the Sexes" match came down, and it was a big deal because it was at the height of the Women's Liberation Movement and Bobby Riggs was the epitome of male chauvinism, I wonder who remembers this today. However, I do. From a personal standpoint, my older sister was a tennis professional and a big fan of Billie Jean King's, so I remember this vividly, but I can't help but wonder if anyone cares about this anymore except possibly tennis fans and those of us who lived it. To give you a little background, Billie Jean King (Emma Stone) was the top-rated female tennis player in the 70's, but there was a huge inequity in the amount of prize money women tennis players could earn from their tournaments compared to the men. The men made eight times as much. Billie Jean appealed to Jack Kramer (Bill Pullman) at the then U.S. Lawn Tennis Association (now the U.S. Tennis Association) and when she was told that the men needed to earn more because they were the breadwinners for their families (yawn) and that men's tournaments were better attended and just more exciting than the women's, Billie Jean decided to leave the U.S.L.T.A. and form her own Women's Tennis Association. She did and it was backed by Virginia Slims cigarettes (Remember "You've come a long way, baby?"). Then there was Bobby Riggs. He was a top-rated men's tennis player back in the day, but was now in his 50's and working a boring desk job for his father-in-law. He also had a wee bit of a gambling problem. Let's just say he was a hustler and it wasn't helping his marriage any (his wife is played by Elizabeth Shue - I wondered what happened to her). He was a washed up tennis player who made a few bucks playing his friends for money with one hand behind his back or holding two dogs on a leash. But Billie Jean's winning the Grand Slam, her fame and her feminism gave Riggs the idea to have a tournament between him and Billie Jean to prove once and for all that men could outplay women, and of course, so he could also make a few bucks. However, Billie Jean refused so, when up-and-coming Australian player, Margaret Court, beat her, Riggs approached Court. She consented to a tournament, only to be humiliated by Riggs. He said that women players couldn't handle the pressures of the game and that's why they shouldn't earn as much as men. He even went so far as to put out a challenge - $100,000 to any woman who could beat him. That did it. Billie Jean couldn't stand the idea that Riggs could gloat about the inferiority of women tennis players. So Billy Jean decided she had to play him to prove that a woman can beat a man and the tournament became a cause celebre. It was played at the Houston Astrodome and was watched by over 90 million people. People today might have a hard time getting their heads around how important this match was in the real life battle of the sexes considering all that has happened since. I even thought the film was going to be corny and all rah-rah, especially since I knew the outcome but the film actually went deeper. It certainly resonates today, considering the continuing pay inequity and sexual harassment that continues to haunt women, but the film also sensitively explores Billie Jean's burgeoning feelings about her sexuality thanks to a stellar performance by Emma Stone who just oozes vulnerability. Though Billie Jean was married, seemingly happily so, she was starting to have feelings for women. In the film, Billie Jean meets Marilyn, a hair dresser, and Marilyn (Andrea Riseborough, in a very sensitive performance) gives Billie Jean a haircut in what could only be called the most sensuous scene of hair cutting I have ever seen. The two embark on a relationship and Billie Jean has to come to terms with that side of herself. Despite the build-up to the epic tennis match, the film is really about Billie Jean King herself, what she was going through in her personal life and her fear that it would be found out. The film doesn't really do much to enlighten us on what made Riggs tick other than him just being a jerk with a gambling problem. I mean, what hubris for a 55-year-old man to think he could beat a 29-year-old woman at the top of her tennis game! But Carell does a good job with that and there is a bit of an inkling about Riggs battling ageism and feeling irrelevant. Sarah Silverman is making a dramatic name for herself playing wise-cracking side-kicks - she's good - and I couldn't help but notice Fred Armison in a non-speaking role as Bobby's trainer - if you blink you will miss him. Directed by Jonathon Dayton and Valerie Faris with a screenplay by Simon Beaufoy, the film has a delightful 70's soundtrack and the tennis footage from the match is well-integrated into the film to give us an exciting finale. Speaking of integrating footage, tennis player Rosie Casals (Natalie Morales) called the match along with Howard Cosell. The footage of Cosell and Casalls was so good I couldn't tell if that was actual footage of Casalls and Cosell or the actress CGI's in, but I have to say, in light of the #Metoo and Times Up movements, I couldn't help but notice how discomforting it looked to see Cosell reporting while towering over Rosie with his arm tightly wrapped around her, literally talking down to her and treating her like a child. Yuck. Thank goodness, he wouldn't have been able to get away with that today. The epilogue shows the real Billie Jean who was awarded the Presidential Medal of Freedom in 2009 for her work on behalf of Title IX and LGBQ rights. My one complaint about the film is that it was shot in digital and you know how I feel about that. I don't like it. Rosy the Reviewer says...despite my fears that this film wouldn't resonate in today's world, it's a powerful reminder that we actually haven't come a long way, baby. A cautionary tale about accepting friend requests. I think there was a time when Facebook was new when we all accepted every friend request we received. I think that's how so many became vulnerable to catfishing. I still get friend requests from handsome guys in military uniforms who, when I click on their profiles, have no friends. That tells me immediately that he's a catfish, probably some guy in a Nigerian call center. I think I must be on some list of lonely old ladies. I never fall for it, even though I have always been a sucker for a guy in a uniform, but hey, it only takes one to say OK and those guys are off and running. However, this film isn't about lonely old ladies. 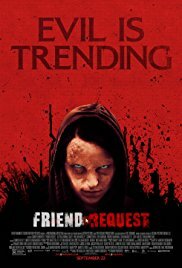 It's actually about Laura Woodson (Alycia Debnam-Carey), a very popular young college girl with over 800 friends on Facebook (though Facebook is not actually named in the film), who was just trying to be nice when she friended Marina (Liesl Ahlers), an outcast girl in one of her classes. We know that Marina is an outcast because she wears a hoodie with the hood up, doesn't say much and draws witchy art on her page. Unfortunately Marina is also a bit of a nutter and got carried away (Laura is her only friend) and started bombarding Laura with PM's and liking and commenting on every post that Laura put out. Laura is not a mean girl but she eventually gets a bit weirded out by Marina, and when Laura excludes Marina from a party, Marina goes off on her. Soooo Laura unfriends her. Uh-oh. Now we have a girl-stalking-girl movie, that is, until Marina hangs herself live online, it gets posted on Laura's page and Laura can't get rid of it. The video also somehow goes viral and turns up on her friends pages as if it's coming from Laura. Now everyone thinks Laura is twisted so they start unfriending HER. Laura can't delete the video, can't unfriend Marina, can't get rid of that damn video and can't delete her account. And if that's not bad enough, Laura's friends start dying. Did Marina really kill herself? And why can't anybody delete those posts that keep appearing? Who was Marina? And what are Black Mirror Cults? This is a perfectly good thriller/horror film starring young unknowns that I call "Horror Light." I like the occasional horror film, but I lean toward the Lifetime Movie type horror film or films like "It" or "Split," not gory ones like "Jigsaw" or "Hostel," hence my "light" appellation. "Horror Light" still employs the usual horror tropes but is not so gory and brutal as to leave you speechless. "Horror Light" includes the kind of horror films where things go bump in the night, images flash on the screen to make you jump, ominous music plays when our heroine opens a refrigerator door and when she closes it someone is standing there, or she goes down a dark hall even though the light switch doesn't work, or someone says, "Did you check the basement?" These are all opportunities for you to shout at the screen, "Don't go down there!" If the movie is too graphic and gory and you are left speechless, you can participate or you might have your hands over your eyes and what fun is that? 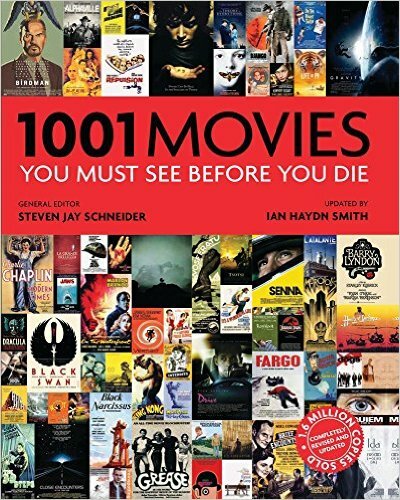 And actually, this film, directed by Simon Verhoeven (screenplay by Verhoevan, Matthew Ballen and Philip Koch) is more silly than scary, though it makes a statement about technology, or at least I think that's what it was doing. It seems that bad things happen when people look at their computer screens too long, so I kept yelling at the TV: STOP LOOKING AT YOUR COMPUTER! But you know in this day and age, telling young people to stop looking at their computer is like telling them to stop breathing. Rosy the Reviewer says...moral of the story: Be careful who you friend - and if you stare at your computer long enough you might be communicating with demons...but, geez, we already knew that! An old man who lives alone with his little dog struggles to live on his small pension in Rome. Umberto D. (Carlo Battisti) is a lonely old man living in an apartment he can't afford. He worked for the government for 30 years but his pension doesn't cover his living expenses. His landlady is disrespectful, threatens to throw him out and even rents out his apartment by the hour to illicit lovers when he is not home. His only companion and source of comfort is his little dog, Flike, and Maria (Maria Pia Casillio), a young girl who is the cleaner for the building, is the only human who is kind to him. He can't pay his rent and is so desperate he fakes an illness so he can go to the hospital to get some sleep and food. When he returns, the house is being renovated, his room is all torn up and little Flike has run away. 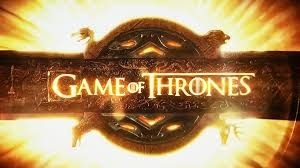 They are eventually reunited but Umberto is desperate and decides to kill himself. This film shows that no matter what country you are in or time period - even 66 years later (this film was released in 1952) - some things never change. We still don't respect or care for the elderly. Old people become invisible. It's a cruel world for seniors with little money. Director Vittorio De Sica, an early proponent of the Italian Neorealism Movement, who also directed the highly acclaimed film "The Bicycle Thief," has captured the world of the old and forgotten in this story of an old man's desperation, and 66 years later it still resonates today. De Sica avoids any sentimentality in a story that could easily fall into that trap, especially when one of the stars is a darling little dog. And it still resonates with me. I can't stop thinking about it. I loved it. Neorealism was an Italian movement that started during WW II and continued through the 50's. One of the tenets was that films should embody everyday life and the characters should be played by non-professionals. 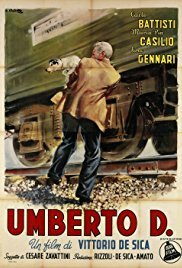 "Umberto D" is one of the most successful demonstrations of that theory, and it is amazing that Umberto is played by a 70-year-old university lecturer who had not acted before. Battisti has a face that just demands empathy, and Maria Pia Casillio was delightful and looked like a young Debbie Reynolds. And Flike? What can I say. He was so adorable I am calling my little dog Flike. Why it's a Must See: "With it's unapologetic tragic story of an old man's despair and love for his pet, and its pointed observations of social injustice, [this film] provides the perfect opportunity for the viewer to consider this question...De Sica leaves us wondering whether Umberto's love for his dog, who depends on him alone, is redemptory or futile." I choose to think that little Flike was redemptory and gave Umberto something to live for. Dogs are like that. Rosy the Reviewer says...as part of my "1001 Movies I Must See Before I Die Project," I have to watch a lot of films that I sometimes don't really enjoy but all of that is worth it to discover a gem of a film like this. This film will stay with you. A search for meaning in the face of tragedy and grief. Anne Gisleson knows tragedy. Her twin sisters killed themselves a year apart, she had to flee from Hurricane Katrina, and her beloved father died of cancer. Anne's husband, Brad, was a widower and had also had his share of heartbreak. 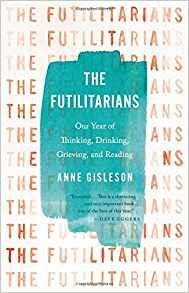 Anne and Brad wanted to make sense of all of that and, realizing that their friends had their own issues, came up with the idea of the Existential Crisis Reading Group, which they jokingly dubbed "The Futilitarians." From Epicurus to Tolstoy, from Cheever to the Bible, each month they read and talked about the meaning of existence in post-Katrina New Orleans. Anne's father had forbade her to ever write about the deaths of her twin sisters, but now that her father was gone, Anne felt she could take on that task so this book is part-memoir and part existential musings but mostly it's about how talking about great literature and philosophy can help you understand life and its many challenges. "So, both for young and old, it is imperative to take up the study of philosophy. For the old, so that they may stay youthful even as they are growing older by contemplating the good things of life and the richness of bygone events. And, for the young, so that they may be like those who are advanced in age in being fearless in the face of what is yet to come." Rosy the Reviewer says...an interesting story with a message: literature can heal.